Reading the USA Today over breakfast, I saw a full-page ad that just about made me spit out my Wheaties: Rich Dad. 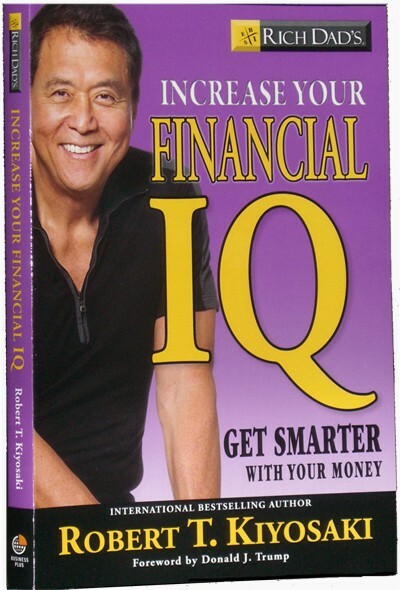 Poor Dad author Robert Kiyosaki has a new book out: Increase Your Financial IQ: Get Smarter With Your Money. I would be hard-pressed to come up with a more generic name for a personal finance book: Two clichés in one title! The newspaper ad contains even more cliches, promising readers they can "discover how to" increase, protect, budget, leverage, and improve (?) their money. I must admit to being dreadfully curious about how I can "improve" my money. What does that even mean? I might just have to buy this book just to find out. But then again, maybe I won't. Having read -- OK, skimmed -- a few of Kiyosaki's books, I can tell you that they are nearly all the same: old cliches about money, advice to avoid mutual funds and 401(k)s in favor of real estate, and stories about his friend's dad -- stories that he admitted were fabricated in an interview with SmartMoney. Before you decide to buy Kiyosaki's book, read this scathing expose from John T. Reed. Oh, and the foreword to Financial IQ is written by Donald Trump: further evidence that the book is likely to be complete garbage.